Introducing: Plant Therapy’s Fruit Essence Set! 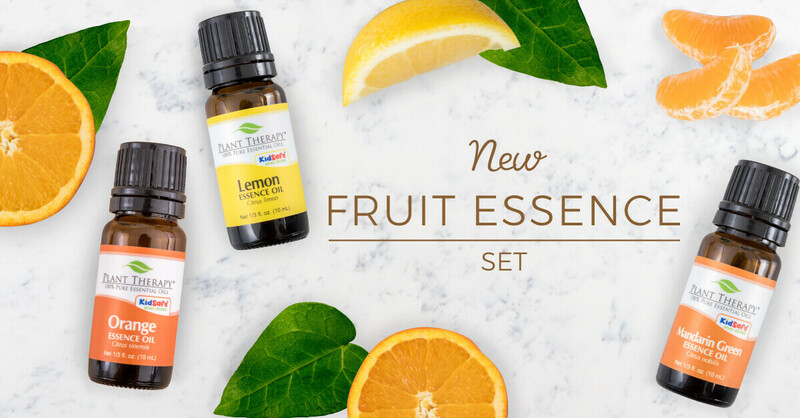 Help us welcome Plant Therapy’s newest amazing product: The Fruit Essence Set. Each unique essence captures what we love best about these favorite citrus essential oils while providing scents that are brighter than ever. Formerly available as an Oil of the Month, the Fruit Essence Set contains three 10 mL bottles: Orange Essence Oil, Mandarin Green Essence Oil, and Lemon Essence Oil. Plus they come perfectly packaged together in a cute, natural wooden box. What’s the difference between an essential oil and an “essence” oil? Mandarin Green, Orange, and Lemon essential oils are produced by either being cold pressed or steam distilled from the peels of the fruit. “essence oils” are distilled from the fruit itself. An “essence” is a byproduct of juicing citrus fruits. When the fruit juice is concentrated, essence oils come to the surface and are separated by vacuum distillation. This removes all of the water and produces an essence. The result is that essence oils have a ‘juicier’ scent than their essential counterparts. Originating in China, the Sweet Orange fruit grows on a small evergreen tree. In the United States, the sweet orange is iconically associated with the sunshine cultures and crop industries of California and Florida. In Europe, sweet orange can be found more extensively around the Mediterranean. The orange fruit is important in Traditional Chinese Medicine for a variety of ailments. Orange Essence Oil has an intense, fresh citrus scent that uplifts and helps energize, while also helping to calm worry and tension. As a co-product of the production of orange juice, Orange Essence differs from Orange Sweet with its strong, effervescent, fruity top note and additional aldehydes (approximately 0.5%). Otherwise, the chemical makeup is almost identical to Orange Sweet and offers the same uplifting benefits. Use Orange Essence Oil to brighten up any blend! Try adding 3 drops of Orange Essence, 3 drops of Grapefruit Pink, and 3 drops of Mandarin to your Plant Therapy diffuser for a bright, uplifting experience. 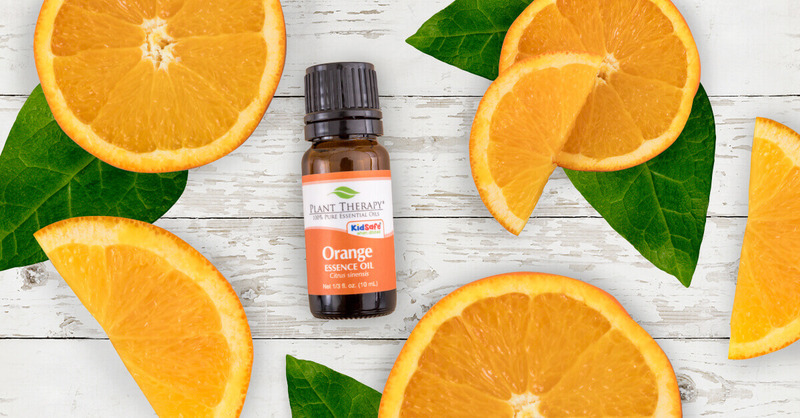 For topical use, try diluting Orange Essence Oil to 1-3% in your favorite carrier oil. Closely related to Tangerine, the Mandarin in native to Asia, especially southern China. However, the small evergreen tree it grows on is now grown in Europe, the Middle East, and Brazil. Historically, the mandarin fruit’s gentle nature has been considered ideal to support digestive issues in children and the elderly. Its beautiful citrus scent is used as a flavoring agent in sweet liquors, personal care products, and more. Mandarin Green Essence Oil has an intense, sweet, fresh citrus scent that’s great for helping soothe tension or worry. This green oil has been harvested early enough to yield the green and yellow oils, rather than the reddish oils harvested later for Mandarin essential oil. This particular oil has a dimethyl anthranilate note, which makes it perfect to give an added burst of sweet richness to any blend. 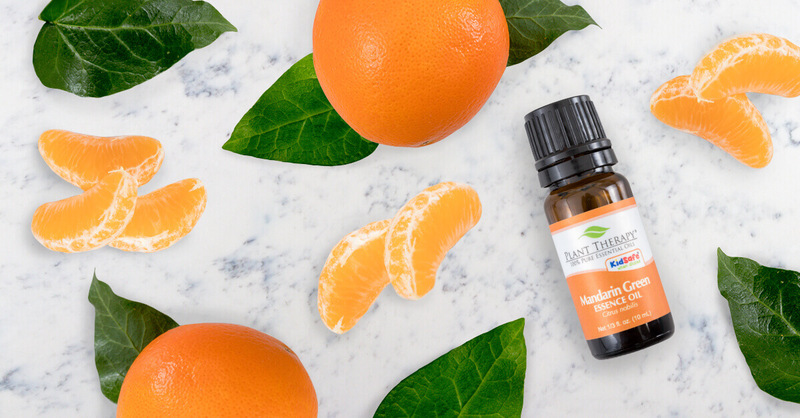 Mandarin Green Essence Oil can be used instead of, or with, your Mandarin Essential Oil! Try adding 6 drops of Mandarin Green Essence and 3 drops of Lavender to your Plant Therapy diffuser to promote relaxation before bedtime. If you want to use this oil topically, try diluting it to 1-3% in your favorite carrier oil. This well-known fruit ripens to its bright yellow color on small evergreen trees grown around the world. The lemon fruit is used everywhere in food flavors, beverages and in scenting perfumes and personal care products. Historically, the actual lemon fruit has been employed for illnesses from infection to arthritic conditions. While similar to Lemon Steam Distilled Essential Oil in chemical makeup, Lemon Essence Oil offers a noticeable estery fruitiness, which is unique to essence oils. Because Lemon Essence Oil is colorless, it is useful in applications where discoloration is a problem. Lemon Essence Oil has an intense, fresh, zesty citrus scent that people find energizing and uplifting. Lemon Steam Distilled has a similar chemical makeup, but Lemon Essence Oil offers a juicier scent, which is what essence oils do best! 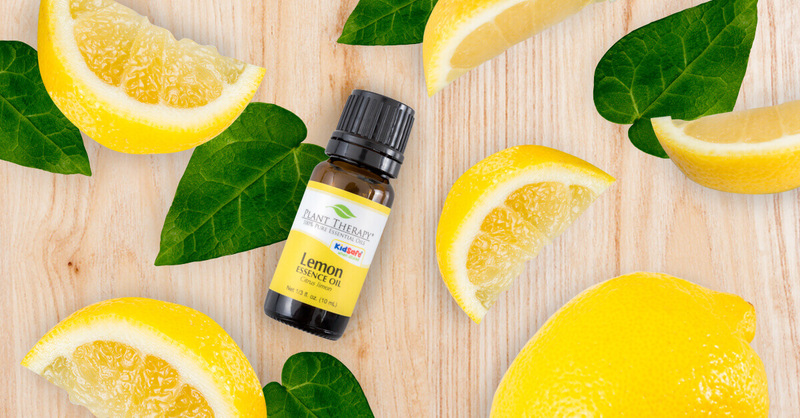 Use Lemon Essence to add a pop of zesty freshness to any blend! Try mixing 4 drops Lemon Essence, 2 drops Peppermint plus 2 drops Eucalyptus to your favorite diffuser to get you going in the AM. For topical use, dilute 1-2% in your favorite carrier oil. Lemon Essence Oil is colorless, making it useful in applications where discoloration may be problematic. Lemon Essence oil can also cause photosensitivity in some cases. To avoid this, keep your maximum dilution at or below 2% when using on the skin. Make sure to pick up your own Essence Oil Set today! You won’t believe how much you’re going to love these juicy, fruity oils for spring and summer! I look forward to trying some of these out in the future. I love the smell of citrus oils and am really curious the difference in smell between the regular essential oils and these essences! These sound amazing for spring (which I’m hoping is right around the corner)!! I’m going to order the set…thank you, PT for listening to your customers and making an ootm a regular product!! So excited to try these!! These smell amazing. And the lemon cleans so much without leaving a residue. These are a must have for any home. I am beyond excited about this set! Fruit oils are my favorite..especially sweet orange (which I use every day). If I only had that oil I would be happy. So to hear that there is another way to enjoy citrus in a fruitier way makes me so happy. Cant wait to get mine! I got these when they were the oil of the month, I’m in love with them. Also very neat on how they are extracted. I’m so looking forward to being able to order these! They sound divine. I love citrus anything, but juicer citrus oils sound like my jam! Hopefully you will one day be able to stock other fruit essences. They’re so good!! I gifted them to my mom because she loved the way they smelled, and may have to get some for me now that they’re in stock! I love citrus scents, I definitely plan on tryig some of these. I didn’t know anything about essence oils until now, I am really excited to try these! Ohhh… these sound yummy! I wonder if they would be good for making natural perfumes? I’m so glad you released these! I am in LOVE with the Lemon Essence because it smells just like a fresh cut lemon. I want to use it in everything for the fresh clean scent. Thank you! Love the information on the difference between essence oil and essential oil. Love the information on the difference between an essential oil and an essence oil. I can’t wait to try these. They sound amazing!! Love, love, love citrus. This is so exciting! I love diffusing citrus oils, they smell great and make the house so refreshing! I’m so excited to try these in body products. Seems as though a little will go a long way. They sound like they smell Devine. A friend bought me this blend for my soap making plus a gift card. I am now hooked on your products! Thank you for the info. About lemon being photosensitive I didn’t know that before. Yes! I love citrus and love that you have this in a nice set! Birthday gifts made easy!!! I got these as the OOTM. They smell like biting into a fresh fruit. Sooooo amazing! I’m excited to try this set! I love orange and lemon, but have not tried mandarin green. I love my regular citrus oils, but you had me at “juicier!” They sound amazing, and I cannot wait to give them a try! We love the fruit scents and won’t be without them, glad we can buy in a set now. I saw everyone rave about these when they were and OOTM. Definitely going on my wishlist immediately. There were a lot of excited members on SEOR when these were the oil of the month. I am excited they are available for general purpose now. One thing I have enjoyed about Plant Therapy is learning about other oils/products that come out of the distillation process such as these essence oils and hydrosols. Thanks for PT for the knowledge and products, I can’t wait to try these! So Excited to try this set! I received these as an OOTM and they are a favorite of mine! I love diffusing them all together for a cheerful, uplifting scent. I’m so glad these will be available ongoing as I will run out of them quickly! Thanks PT for another home run! I love all of these oils! these smell absolutely delicious!! I got them with my oil of the month, and I love the vibrance of these oils. I wish I had more time to play with essential oils and make nice products for my bath! I bought these when they were the Oil of the Month!! I am not overly fond of the Mandarin Green, but LOVE the Orange and Lemon essence!! So glad they are now available to purchase!! Another fantastic prouduct Plant Therapy!!! I’ve heard so many good things about these! I will consider them after I run out of some of my citrus essential oils! These citrusy essence oils sound so nice about now when it is cold and gloomy out. They seem like they would feel like a pop of sunshine. Can these be used in a recipe when the essential oil of the same name is called for? For example can the orange essence be substituted for orange sweet? Or blood orange? etc. Thank you. Ohhhhhhhhhh PT!!!!!! This sounds devine!! Take my money now! HA! This is going on my wishlist for SURE, now I will just impatiently wait till I my next purchase, I feel like I’m ordering everyday… those green envelopes makes me so happy! 🙂 Can’t wait to give this set a try! Hopefully sooner rather than later….this just screams a good diffuser blend for spring cleaning! hmmmmm….. I am not a ‘fruity’ scent kind of person, but these smell delicious. I may have to try them. I love lemon!! some great tips! I have heard fabulous things about this set. I’m so excited to get this one! Just when I thought I couldn’t love my citrus oils ANY MORE, you guys offer these amazing essence oils! I adore these new oils. I’ve enjoyed using them in my soap making especially! This has been super informative. I’m putting these on my wish list!